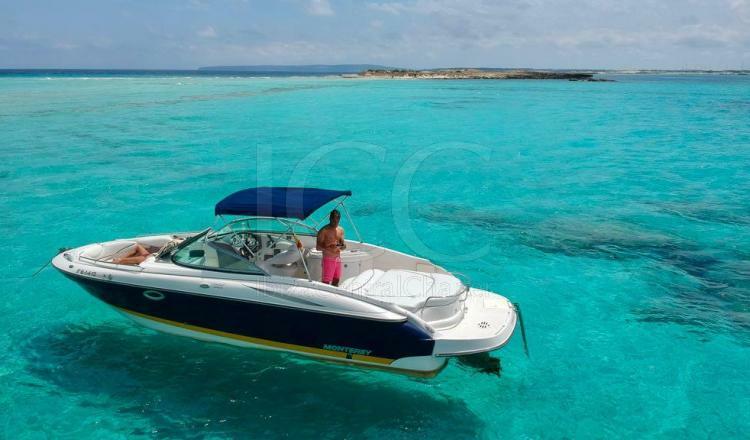 Monterey 278SS equipped with the latest details, special so that 8 people can enjoy knowing Ibiza and Formentera from a nautical perspective. Monterey 278 SS is the result of the combiantion of powe, luxury and technology. 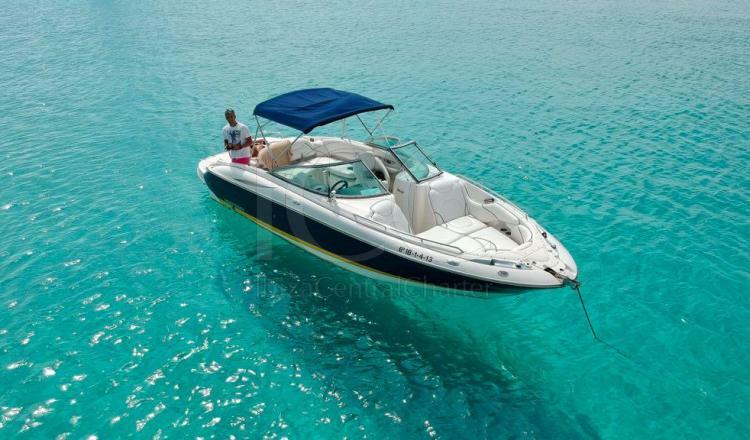 A great choice for motor boat enthusiasts or those who have not tried yet this kind of navigation. 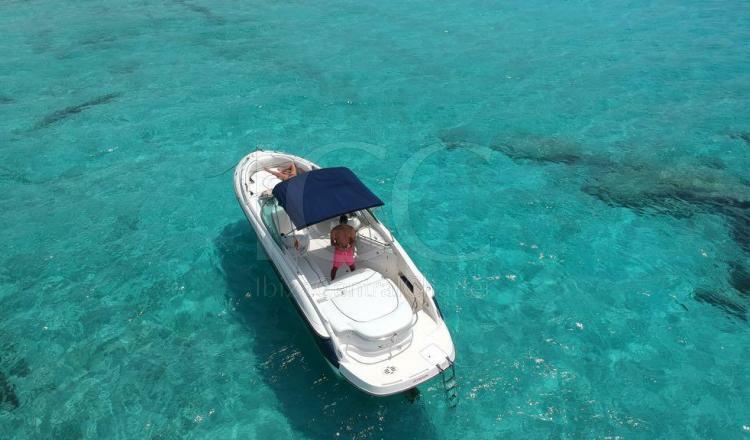 Its design make it the perfect motor to go out and discover Ibiza's small bays in the most comfortable way. The bow has a spacious cockpit with two very large seats. In addition we find in the stern amazing sofa which has an ablatible back seat transformable in a solarium where can chill out comfortably. 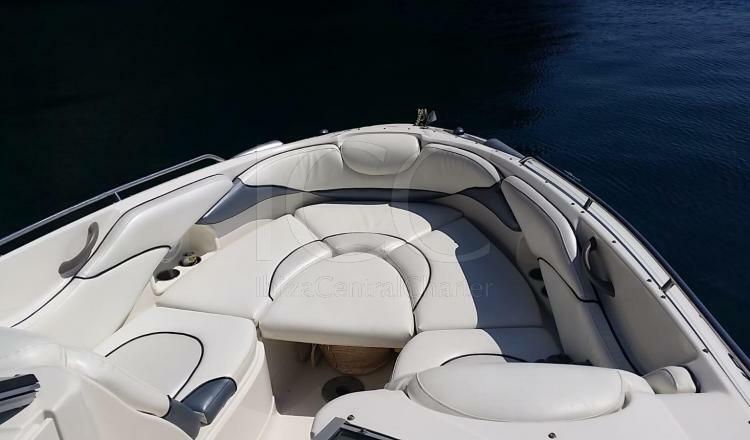 Monterey 278 SS has capacity for 8 people that added to the storage space available will make you feel line a big boat but with the easy way to handling a motorboat. - Soft drinks and water.